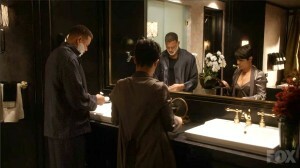 I’ve gotten totally hooked on the new Fox series “Empire,” so I was curious about the filming locations for it. 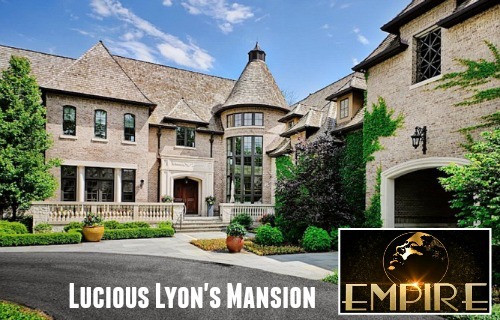 A lot of the action takes place in this grand estate owned by Lucious Lyon, which is a real house located in Barrington, Illinois. I found listing photos so we can compare how it looks on TV to the real thing! 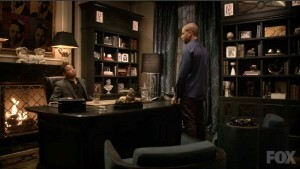 The show revolves around the Lyon family, which runs a music company called Empire Entertainment. 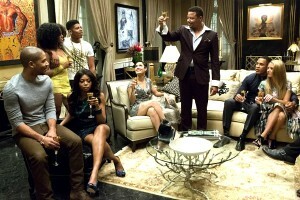 Lucious (played by Terrence Howard) is the head of the family and founder of the company. 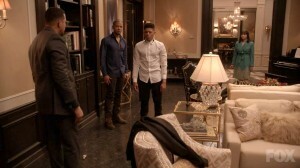 He’s dying and trying to determine which of his sons will be his successor — Hakeem, Jamal, or Andre. 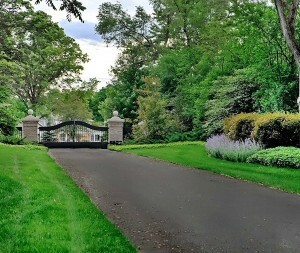 “Empire” is mostly filmed in the Chicago area, and the estate they used is in Barrington Hills. Here’s an aerial view of the property, which sits on 8 acres overlooking a lake. The place is HUGE, with 20,000 square feet in the main house alone. 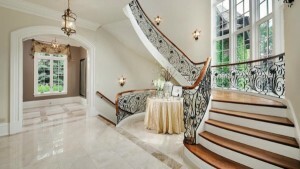 It’s described as a lavish French Country-style estate. 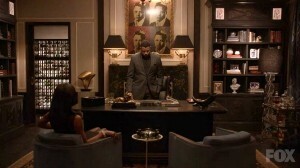 Lucious Lyon’s life gets more complicated when his ex-wife Cookie (Taraji P. Henson) gets out of prison early and demands her half of the company back. 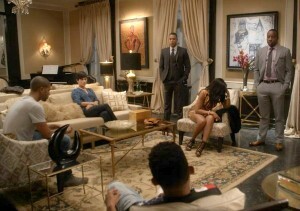 There’s an interesting article about the show in the NY Post explaining “7 Reasons why ‘Empire’ is the New ‘Dynasty. 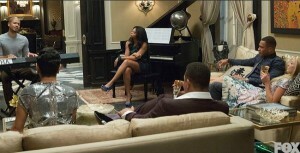 It says: ‘“Empire” may scream hip-hop and bling, but, like “Dynasty,” the show is rooted in cold, hard cash. On “Dynasty,” the Carrington business was oil. 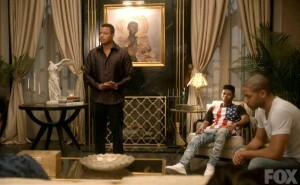 On “Empire,” Howard’s Lucious Lyon is a music-industry mogul — a TV version of Jay Z who hopes his firm will become the first rap enterprise listed on the New York Stock Exchange.’ I never watched “Dynasty,” but I was a big “Dallas” fan and see some similarities to it with the three brothers vying for their dad’s approval and control of the company. Here are some pics of this amazing house….